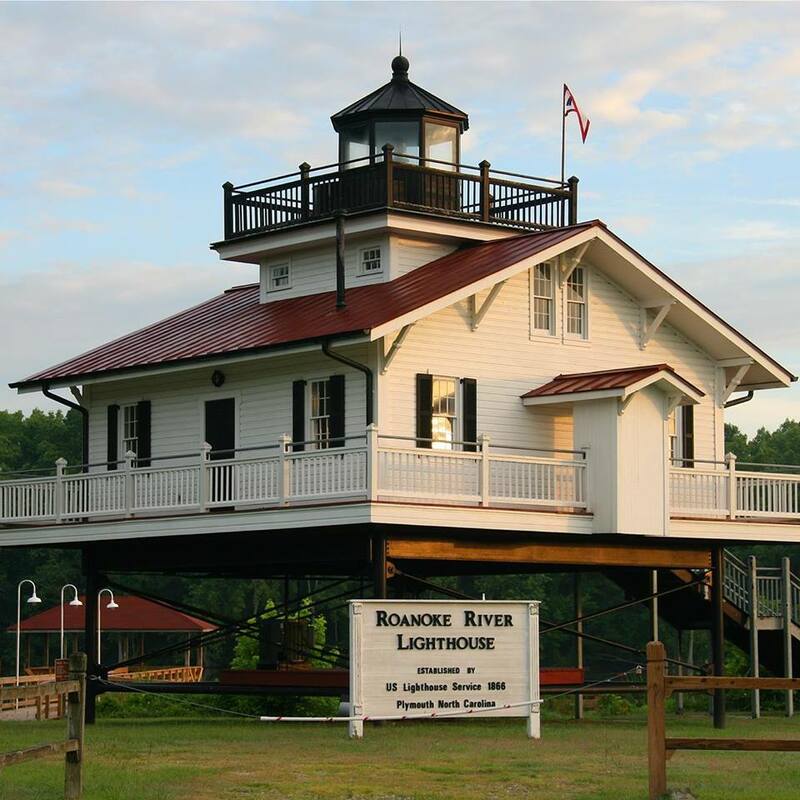 The Washington County Visitor’s Center, located on Highway 64 in Plymouth, is a great place to begin your exploration of this historic town located on the banks of the Roanoke River Delta. If you arrive after hours, be sure to check the brochure rack outside. 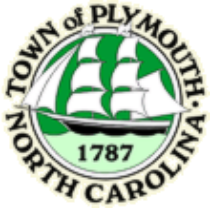 Historic Plymouth, founded in 1787, rapidly became an important port shipping not only agricultural products such as corn, tobacco and cotton, but also ship’s masts and spars, lumber, shingles, tar, pitch and turpentine. The Battle of Plymouth during the Civil War was the most significant page of Plymouth’s rich history. 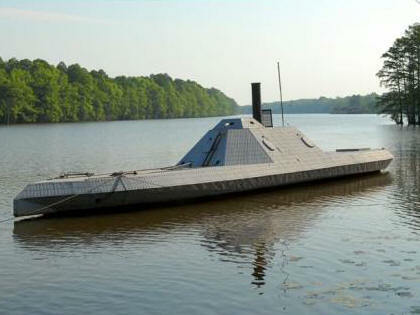 The most successful ironclad of the Civil War made her debut in that 3-day battle and was later destroyed in Plymouth in a commando raid that the History Channel, titled in their documentary, The Most Daring Mission of the Civil War. There are 5 North Carolina Civil War Trail sites in Plymouth not to be missed! Today, you can not only stroll the half-mile of waterfront located 6 blocks north of the Visitor’s Center, but you also have the rare opportunity to visit three different museums in three blocks along the river. 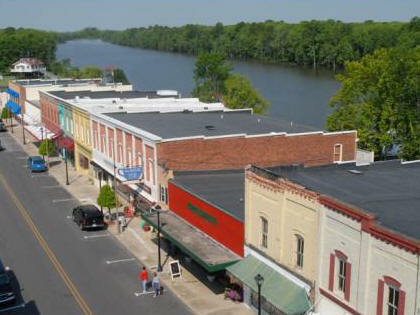 Explore the downtown as well as the Nationally Registered Historic District with notable homes and churches. 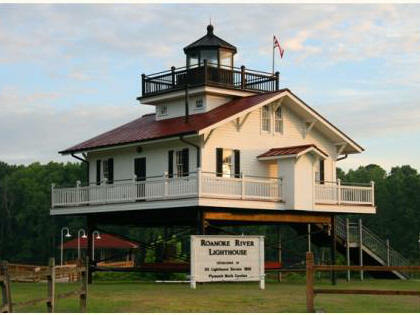 Explore a replica of the first screw pile lighthouse that once stood in the Albemarle Sound at the mouth of the Roanoke river, 5 miles east of Plymouth. Across the street you can see a collection of regional boats, including the North Carolina State Boat, The Albemarle Sound Shad Boat and a boat that made a much hailed trip from Plymouth to Florida along the Inter Coastal Waterway in the early 1960s. Also, ask to see the full-scale replica of the steam launch (in storage) that was used to sink the Albemarle, the most successful ironclad of the Civil War, on Oct 27, 1864. Admission is $3.50 for Adults. Children discounts apply. This unique museum has an impressive collection of mounted animals from Alaska to Africa and points in between. Enjoy an interactive Touch Table and an informative tour. You can also see The Big Five most dangerous animals in Africa. Admission is $2 for Adults. Senior and Children discounts apply. Housed in a circa 1920’s train station this museum interprets Native American and Colonial History, but features a vast collection of Civil War artifacts from the Battle of Plymouth.Housed in a 1923 train station, this museum interprets a variety of historical topics related to Washington County, with a focus on the Battle of Plymouth and the life of the CSS Albemarle ironclad. Featuring the largest collection of locally-found Civil War artillery pieces in the Carolinas, and a vast collection of other Civil War relics from the Battle of Plymouth. Behind the museum is a 63 working replica of the CSS Albemarle, the most successful ironclad of the Civil War. On the last weekend in April, come enjoy the annual Battle of Plymouth Living History Weekend that has been taking place here for 25 years as of 2015. Located at the end of East Water Street this birding trail offers just over .3 miles of riverside trail with three large, shaded observation decks. This peaceful trail provides excellent views of wooded and marshland habitats on the edge of downtown Plymouth. Listed on the National Register of Historic Places, the Ausbon House, located at the corner of Washington Street and 3rd Street, is one of only 5 houses within the city limits of Plymouth that pre-date the Civil War. Of greatest interest to most visitors is the cluster of Civil War bullet holes around an upstairs window! A tenacious Confederate sniper from the 17th NC Calvary fought to the death here during Colonel John C. Lamb’s raid on Plymouth in December of 1862. The home is privately owned. Originally built by Dr. Julian Picot, this house located at the corner of Main St. and Monroe St. once had a commanding view of the Roanoke River. It is best remembered as potentially having played a role in the Underground Railroad. It is theorized that that the trap door in the floor which opens to a tunnel leading to the waterfront docks, could have been used to take on runaway slaves to escape north. During the 20th century, the house served as Plymouth’s only boarding house for black citizens. Today the house is being preserved bit by bit with the goal of one day becoming a historic house museum. Designed by nationally prominent architect, Richard Upjohn, Grace survived the onslaught of the Civil War. The pews were taken apart to build coffins for soldiers killed in the Battle of Plymouth. It has an exemplarily collection of funerary art in its cemetery. 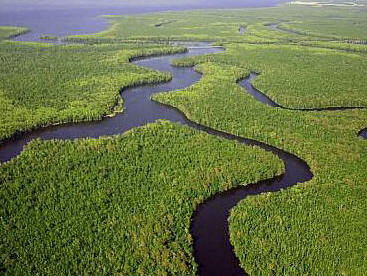 It was also featured in Ripley’s Believe It Or Not as a result of a lightning storm. There were twelve red cedar trees named for each of the twelve disciples and the one named for Judas was struck by lightning!